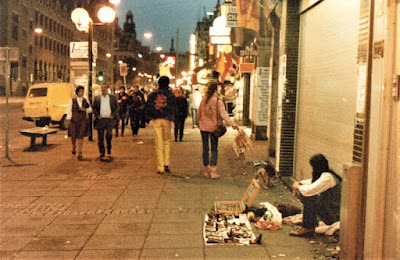 Six images from trips to Amsterdam for comparison: three shots from the Summer of 2017, and two from the Summer of 1983, plus a scanned receipt. 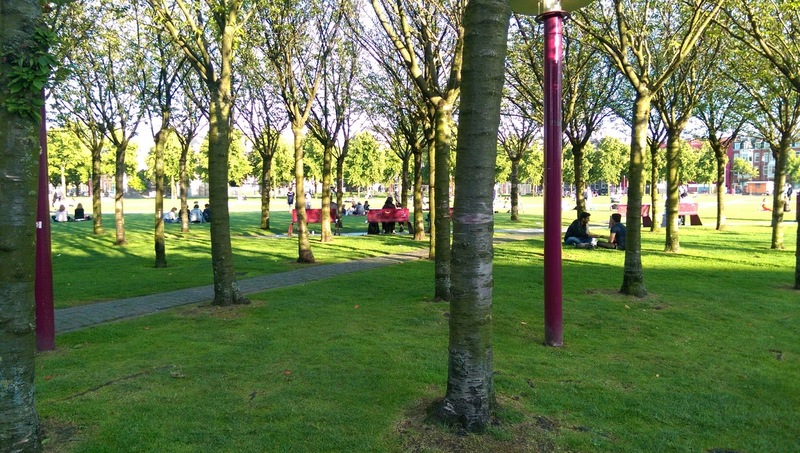 Above: Museumplein. Unaltered HTC mobile phone shot. You can click on it for a larger image. The Irish green jumps off the page. Do you know the pointillist work of the French painter Georges Seurat (1859-1891)? Check out his Un dimanche après-midi à l'Île de la Grande Jatte / A Sunday Afternoon on the Island of La Grande Jatte (1884-1886) for comparison. It's like you've entered into the scene, except without the water. Here's a link to the Art Institute of Chicago's image of it. 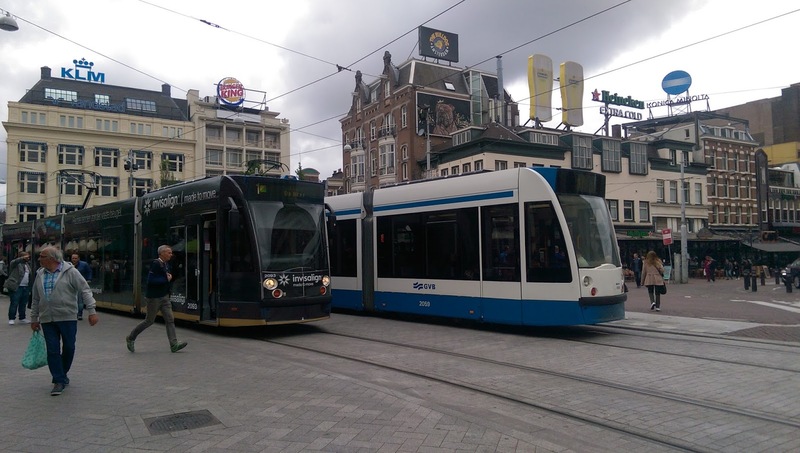 Leidseplein: a busy place day and night. Unaltered HTC mobile phone shot. You can click on it for a larger image. Stadsschouwburg, also on the Leidseplein. This one's with a Nikon Coolpix B500, compressed. 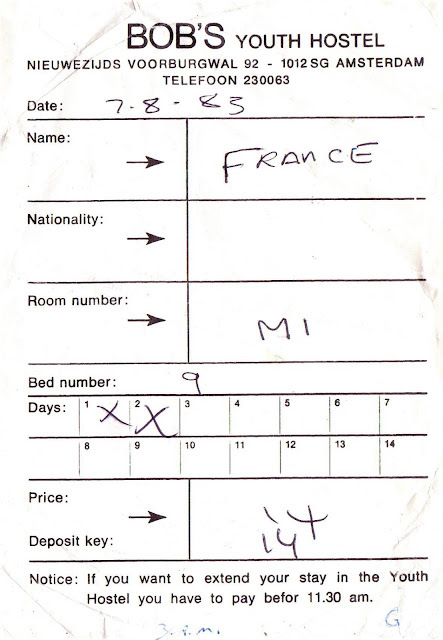 Scanned receipt from Bob's Youth Hostel, July 1983. 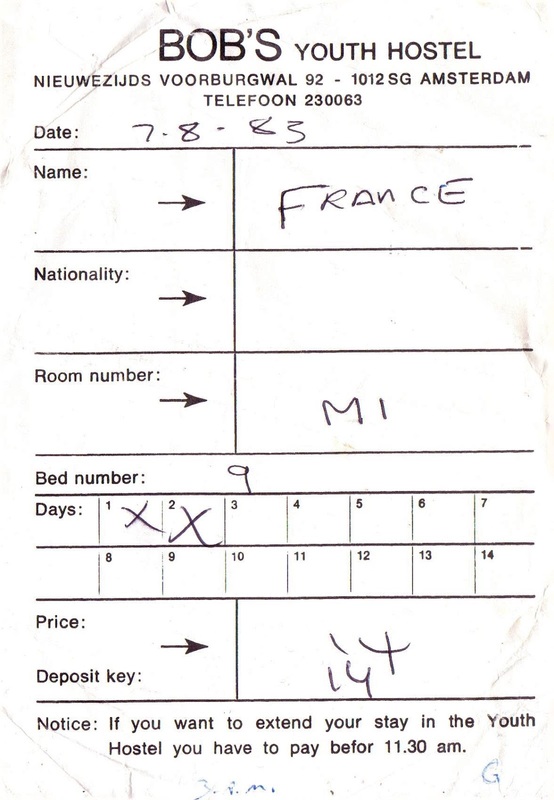 If I remember correctly, the cost was $3 per night at the time, in a dorm room -- equivalent to about $7.50 now. Same address: Nieuwezijds voorburgwal 92, 1012 SG, Amsterdam. Even the Telefoon number is mostly the same, with some additional prefix numbers added on for international calls. Then: 230063. Now: +31 (0) 20-6230063. The relative cost is higher now, but so are the options, including your own room. This was probably somewhere along the way between Bob's Youth Hostel and the Melkweg. When one experiences something in an altered state, some memory details seem to float off into space. Probably Leidesgracht, Spruitstraat or Herengracht. Someone could identify this from the bell tower in the left background. 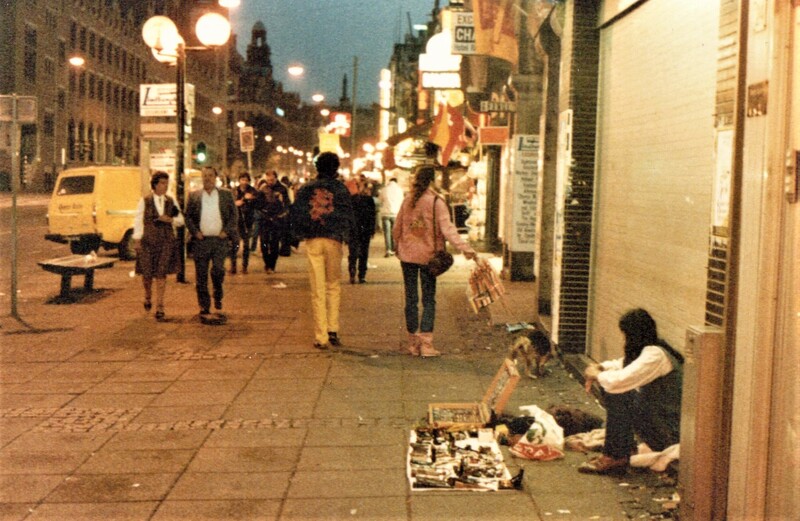 Parts of Amsterdam were seedier (and "patchier," as my Londoner landlord once put it) in the Summer of 1983 than they were in 2017. 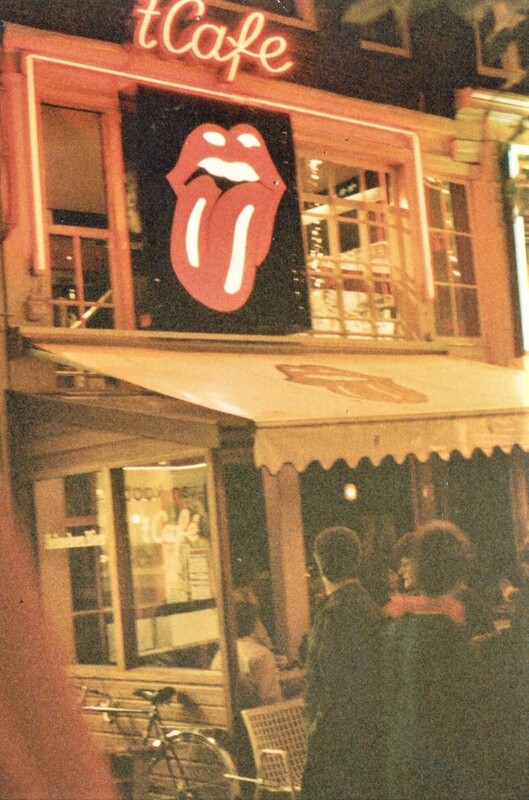 In the Summer of 1983, the 't Cafe with the Rolling Stones logo was facing the Leidseplein at or about Leidseplein 18. Later it was called the 't Cafe Black and White and seems to have since relocated. There have also been the Café Mokum and Café De Waard at the same address. So who knows anymore? There is only this image to go by. I remember that God-awful hairstyle that some people wore then. I also remember sitting on a bench and first seeing this logo during the daytime, when a dog came up to me to be petted, a Labrador mix retriever. Amsterdam forever! It's good to take pictures of places where you hang out because before you know it, some of them are gone! But if they're still there, all the better.